Easter Sunday morning I had a few hours to myself and took the opportunity to head back up to Bear Creek. I considered going to the South Platte up in Deckers but the area was on fire, literally (a small wild fire North of Deckers near Ox Yoke that I believe was extinguished fairly quickly). Fishing was at first slower than usual, I wasn't quite sure why since the conditions haven't changed much since my last few visits. I started out with a Killer Bug and got some follows and bumps including a very aggressive strike of a rainbow trout but none of them were hooked enough to be landed. I switched to some sakasa kebaris with no interest, so I finally switched to my confidence flies, the CDC & Elk and RS2 dropper but fishing remained still fairly slow. The first fish to hand was a little brown trout that fell of course for the RS2. Getting hungry, I started wrapping-up things just before 1pm and headed downstream towards the parking lot. Of course I got tempted to make a few casts in some of my favorite spots and was promptly rewarded with 5 more trout of which I landed 4, all within less than half an hour! 4 of them took the RS2 and one eager brown took the CDC & Elk. Who says the "one more cast" can't produce? All said, it was nice to get out and spend some quality time on the river. 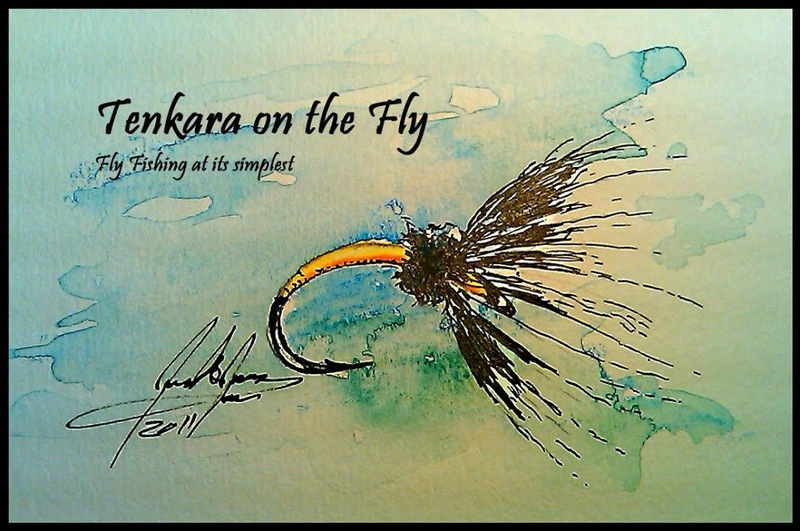 I would like to thank everybody who has sent in their Tenkara Story and made an effort to tell their story. I have had now a few days to read, re-read and read again and to make up my mind which wasn't easy. Obviously selecting a winner is very very very subjective and it was not easy. So don't give me a hard time if you don't like the story or think another story should have won. Since it was so difficulet to decide I selected two winners, EACH will get the first price. Anyhow, may I present you the winning stories, written by David Nash and Anthony Naples - Congratulations!! David and Anthony - I will be in touch with you in regards the custom horse hair line and flies. But don't worry, each writer will be receiving some of the new Tenkara on the Fly stickers. So I will be in touch with you too!! 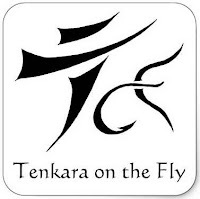 Enjoy the stories and check out the Your Tenkara Story tab abovefor more stories.